Levytsky, Kost [Левицький, Кость; Levyc’kyj, Kost’], b 18 November 1859 in Tysmenytsia, Tovmach county, Galicia, d 12 November 1941 in Lviv. (Photo: Kost Levytsky.) Lawyer, publicist, civic and economic organizer, and prominent political leader in Galicia; full (from 1899) and honorary member of the Shevchenko Scientific Society. A graduate of Lviv University, he opened a law office in Lviv in 1890 and became active in various areas of Ukrainian community life. He edited Chasopys’ pravnycha (1889–1900), which he helped found. As a member of the executive he transformed the Prosvita society from a purely educational into an educational-economic institution. To build a firm economic foundation for the social and political development of the Ukrainian community in Galicia, he helped found a whole string of important economic organizations, such as Narodna Torhovlia, the Dnister Insurance Company, Tsentrobank (which he directed in 1898–1939), the Audit Union of Ukrainian Co-operatives (which he headed in 1904–14), the Land Mortgage Bank, and the Karpatiia mutual insurance company. A populist by conviction, he helped to organize the People's Council and served as its secretary and vice-president (1885–99). Then, after joining the National Democratic party, he served as secretary and chairman (from 1902) of its executive, the Popular Committee. 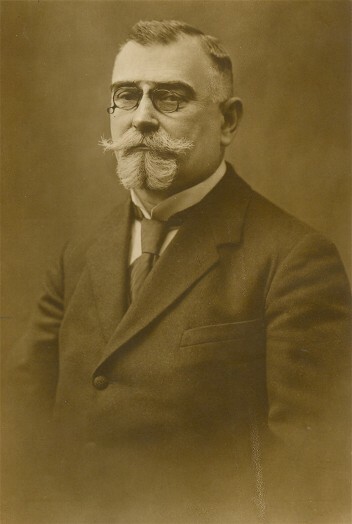 In 1907 he was elected deputy to the Austrian parliament, and in 1908, to the Galician provincial Diet. As head of the strongest Ukrainian party and chairman of the Ukrainian clubs in the parliament and the #Diet, he had become the most influential Ukrainian political leader in Galicia by 1910. During the First World War Levytsky played a prominent role in the independence movement in Western Ukraine. In 1914 he was elected president of the Supreme Ukrainian Council in Lviv, and in 1915–16, of the General Ukrainian Council in Vienna. When the Austrian government proposed in 1916 to set up a separate and autonomous Galicia under Polish control, the disillusioned Levytsky resigned as chairman of the #Ukrainian Parliamentary Club. 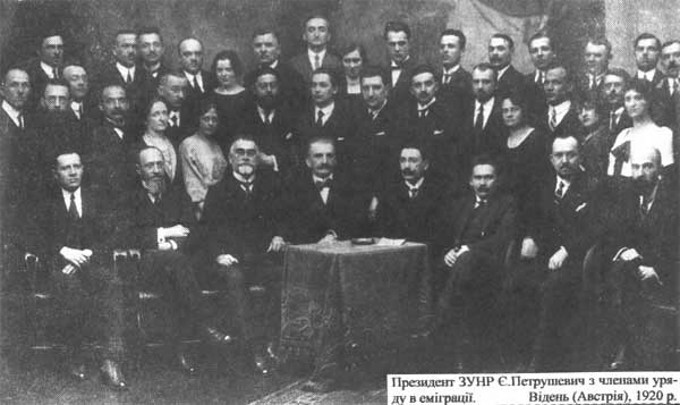 As head of the Lviv delegation of the Ukrainian National Rada, which had decided to establish a Ukrainian state on Austro-Hungarian territories (see Western Ukrainian National Republic), he ordered the Central Ukrainian Military Council to stage an armed coup in Lviv on 1 November 1918. A week later he became the first head of the State Secretariat of the Western Ukrainian National Republic. A year later, when the Poles occupied Galicia, Levytsky served as secretary of press and propaganda and then of foreign affairs in Yevhen Petrushevych's government-in-#exile. After returning to Galicia in 1923, he directed his energies to strengthening Ukrainian professional, economic, and cultural institutions. He served as president of the Union of Ukrainian Lawyers, editor of Zhyttia i pravo, and director of Tsentrobank. Although he sat on the executive of the Ukrainian National Democratic Alliance, he did not engage in active politics. When the #Soviets occupied Galicia in 1939, he chaired the Ukrainian Relief Committee and headed a delegation from the Ukrainian community to the new authorities. He was promptly arrested and was imprisoned in Moscow until the spring of 1941. After the German invasion he helped organize and headed the short-lived Ukrainian National Council in Lviv, 1941. In addition to numerous articles on political, legal, and historical issues Levytsky wrote a number of monographs, including Istoriia politychnoï dumky halyts’kykh ukraïntsiv 1848–1914 (A History of the Political Thought of Galician #Ukrainians, 1848–1914, 2 vols, 1926), Istoriia vyzvol’nykh zmahan’ halyts’kykh ukraïntsiv z chasu svitovoï viiny (A History of the Liberation Struggle of Galician #Ukrainians during the Period of the [First] World War, 3 vols, 1929–30), Velykyi zryv (The Great Upheaval, 1931; repr 1968), and Ukraïns’ki polityky (Ukrainian Politicians, 1936); he also compiled Deutsch-ukrainisches juridisches Wörterbuch (1893; 2nd rev edn 1920).